Windows 10 is the successor to Windows 8 (there is no Windows 9) and addresses several of the issues from Windows 8 and 8.1, to ensure that it is easier to work with on both desktop and mobile devices. Windows 8 and 8.1 was designed to combine the familiar Microsoft operating system across desktop and mobile devices. This proved to be an aspiration that was not without its problems; it seemed like two separate operating systems bolted together, without completely satisfying either environment. Windows 10 introduces a range of new features to tailor the operating system more for specific devices, so that the desktop version is more suited to use with a mouse and keyboard and the mobile version is better suited to touchscreen devices such as Windows 10 tablets and smartphones. Windows 10 is one of the most significant upgrades in Microsoft's history and Windows 10 in easy steps is ideal for newbies and for those wanting to quickly grasp the essentials in the new version. Updates to the features covered in the book are downloadable for FREE from the In Easy Steps website! 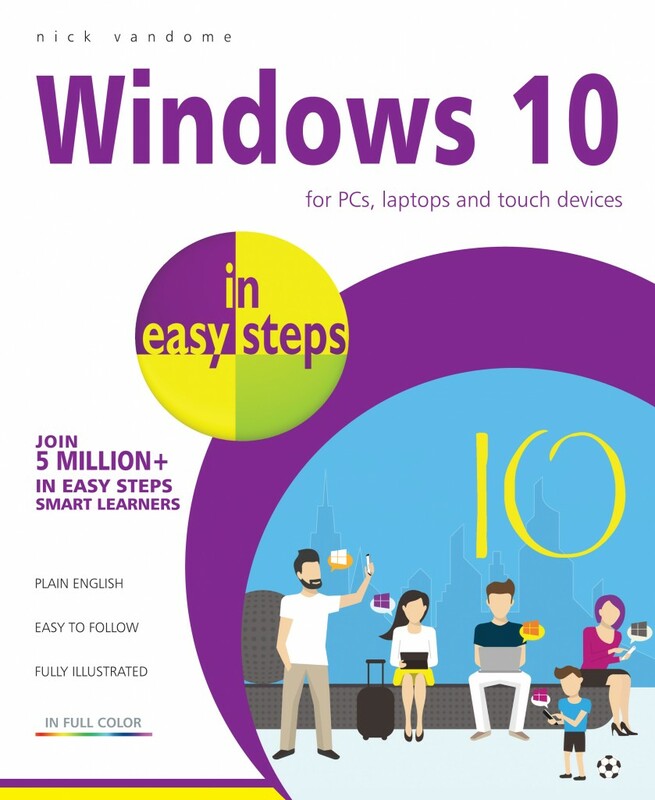 5 Stars "An excellent book with all the basics to get started on Windows 10. [...] This is perfect for somebody who wants [Windows 10] now or is thinking of installing or buying the new OS"